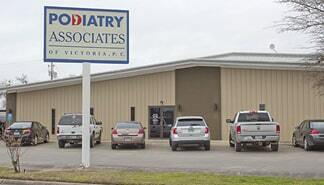 Podiatry Associates of Victoria, located in Victoria, TX provide comprehensive foot care. Our podiatrists, Maureen L. Caldwell, DPM and Andrew J. Young, DPM specialize in surgical and non-surgical foot care. We also offer services such as laser treatment for fungal nails, PRP injections, amino stem cell injections, and KeryFlex, which is a treatment for nail restoration. Call (361) 578-2777 today to schedule an appointment!